In this day and age, there is no doubt that women train just as hard and with just as much intensity as men. The problem however, is that women’s bodies are much more sensitive to supplements and that most of the popular performance enhancing (pre-workout) supplements come with a number of side effects that simply are not acceptable to women. 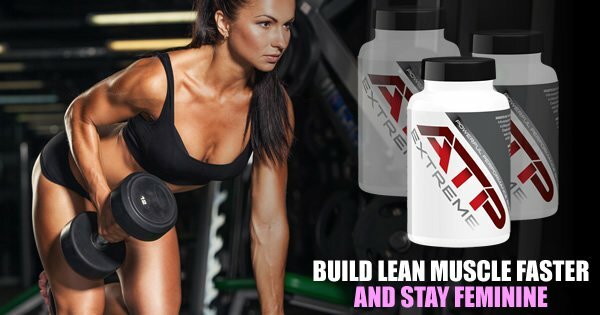 Luckily, there is now an alternative available that fulfills ALL of the needs to today’s high performance female athlete without all of the unwanted side effects. The product is called ATP Extreme, and it does not rely on ingredients like creatine, stimulants, hormone boosters, or high amounts of arginine to create its performance benefits. Instead, the main active ingredient is a patented form of actual ATP (adenosine triphosphate) that has been proven to boost strength, muscle building, high intensity endurance, and recovery. In double blind study, our oral ATP was proven to increase lean muscle 200% BETTER than training alone. In double blind study, our oral ATP was proven to increase squat strength 315% BETTER than training alone. In double blind study, our oral ATP was proven to increase deadlift strength 238% BETTER than training alone. As a female athlete in today’s competitive world, you need a supplement you can rely on to get you the results you are looking for without all of the unwanted side effects that jeopardize you femininity. ATP Extreme is that supplement. All you need to do is try it for 30 days and you will be sold!